Welcome back to Trivial Warfare! Thanks for joining us for our first all-sports episode. Today features special guest host Ramona Rice of Sports Gal Pal Fame. This is actually our first themed episode of any sort. We hope you love it. For those of you who may not be into sports, never fear, you'll probably still feel superior to Jonathan as he misses question after question. As with any sports trivia game you can expect the usual questions about Golf, Tennis, Baseball, Football, Olympics, etc. 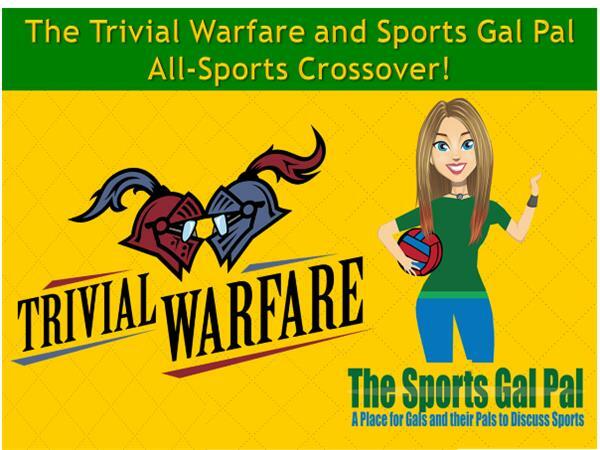 But only on Trivial Warfare do you get a sprinkling of history and movies with your sports questions. We didn't manage to work any science into this episode. That will be something we have to shoot for next time. Enjoy the show and then head over to the Sports Gal Pal show and check it out too!